Rout is a voltage controlled gate switch. 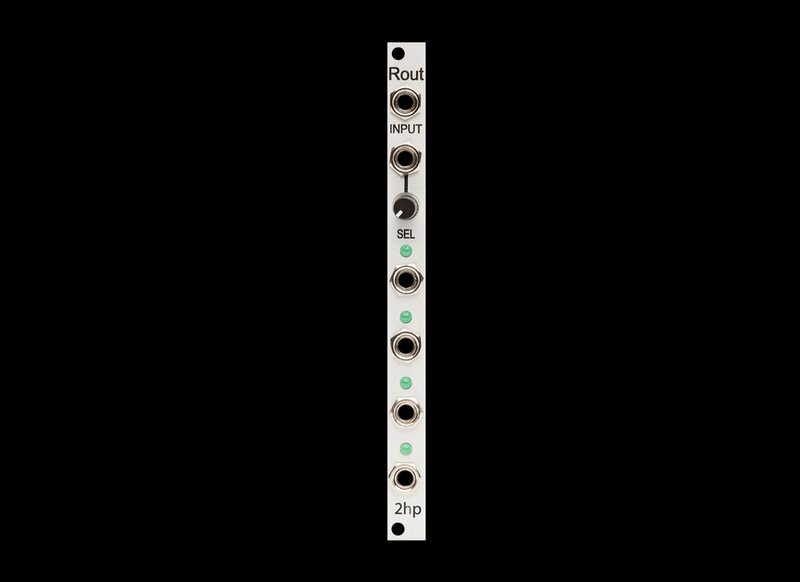 The signal present at the input can be sent to one of four outputs. Great for splitting a pattern across multiple voices or creating variations in a patch with a single gate source, Rout is a powerful addition to any rack's rhythm section.